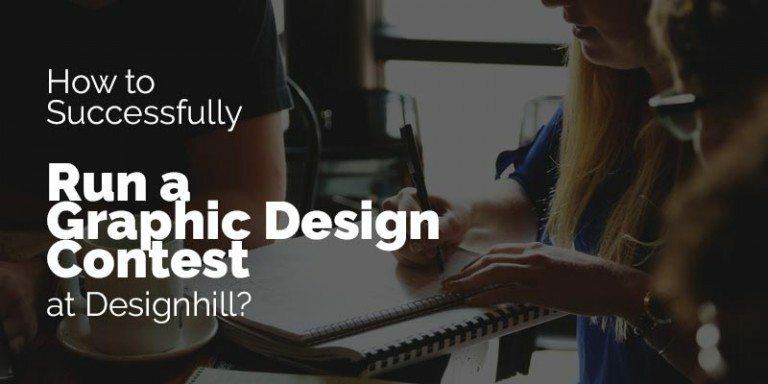 How to Successfully Run a Graphic Design Contest at Designhill? Are you a small business owner who needs an excellent logo design to convey your brand message to your target customers? One of the options you have is to launch a graphic design contest at crowdsourcing sites such as Designhill.com. An advantage of crowdsourcing your logo design work is that it gives you multiple options to choose from and that too at affordable prices. But merely running a logo design contest is not sufficient to achieve required design results. You must pay attention to some aspects of designing of your logo using crowdsourcing platforms. So, here are some considerations you should pay heed to when launching your graphic design contest for better results at Designhill. You must have some guidance for talented designers. So, writing a design brief that contains most of the information that designers usually expect from clients should not be that difficult. There is already a form of design brief that you need to fill. But make sure that you provide accurate information in each column. In the same brief, you can give links to some inspirational designs that you want your designers to keep in mind. You can also talk about the possible design concepts you have in mind. Since you must convey your message to the designers clearly, make sure that the information in the brief is precise and visual. For this, it would be good if you can create a design inspiration board that the designers can access easily. Assemble the style you like the most and want the designers to follow in your inspiration board. Overall, the board must be a sample for the contestants to know what you like the most in graphic design. While you are issuing instructions on your logo design contest or any other graphic design contest, do not put many restrictions on the designers. You can give them your preferences of colors, fonts, symbols and other elements, but leave final selection on the experience of the designers. They are the creators and you should let them work freely to benefit from their talent. Make sure that during the design process, you receive feedback from graphic designers. Just ask them about the progress on the work. Many of them will respond by submitting their unfinished or finished designs for your reviewing. Respond to them with a word of encouragement. But at the same time let them know about your thoughts on the work. Since you want to save money on graphic design of your company, you should settle for a Design contest Package that is affordable for your small budget. But ensure that the package is such that it allows you more design entries and working with your choice of talented designers. These basics must be followed while running your graphic design contest. If your company is looking for a fresh and unique logo design idea, then launch a logo design contest today! Choose from 100+ designs. Take your pick!